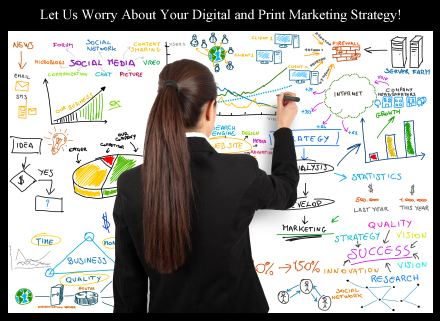 We have services to meet all your digital marketing and print needs! Stamm Web Creations, LLC, offers a variety of services to best meet the needs of our clients. Are you looking for a professionally developed website? Tired of that old boring website that your company has had for five years? Don’t know how to design a website? The website design services at Stamm Web Creations are tailored to help clients of every type. We make it easy for you with an extremely simple process, whether you are big or small, we can do the job! We will do our best to beat our competitors prices. With our services you will get the best effort in providing the optimal placement on search engines. Stamm Web Creations has strong previous results with search engine optimization. So call us today and we will explain all of your options at (405) 315-8724. Looking for an eye-catching business card? Let our design team handle the heavy work while you sit back, relax, and enjoy the benefits of a professional looking business card. Business cards can have a significant impact on the way potential clients view your business, as well as influencing whether or not they investigate more into what you have to offer. Our social media expert specializes in increasing your firm’s presence across all major social media outlets. Our approaches involve constantly updating your social media pages and your general social media footprint. Our strategies will allow for your associated social media pages to be one of your cornerstone marketing assets. Need a flyer designed? Let our professional team help design your next flyer. We will even arrange for it to be printed.